Updated Friday October 14, 2016 by Lafayette Generals Football. 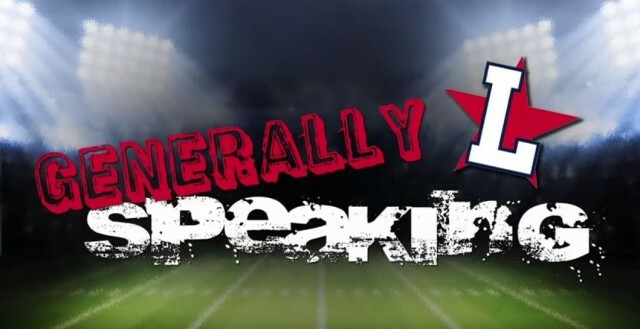 Get a sideline perspective of our football program with the Lafayette Generals Coach’s Show, “Generally Speaking” which is recorded each week during football season. The program, hosted by Eric Mathews and Maisie Insko, is recorded and uploaded to YouTube, Facebook and our Twitter pages typically on Thursday. Each show includes game highlights and analysis by our Lafayette coaching staff and features an array of General student-athletes. Eric & Maisie will sit down with Coach to talk about the last game and look ahead to the next. A “Blast from the Past” is also featured at the end of each show.